Abstract. Downwelling shortwave radiation at the surface (SWDS, global solar radiation flux), given by three different parametrization schemes, was compared to observations in the HARMONIE–AROME numerical weather prediction (NWP) model experiments over Finland in spring 2017. Simulated fluxes agreed well with each other and with the observations in the clear-sky cases. In the cloudy-sky conditions, all schemes tended to underestimate SWDS at the daily level, as compared to the measurements. Large local and temporal differences between the model results and observations were seen, related to the variations and uncertainty of the predicted cloud properties. The results suggest a possibility to benefit from the use of different radiative transfer parametrizations in a NWP model to obtain perturbations for the fine-resolution ensemble prediction systems. 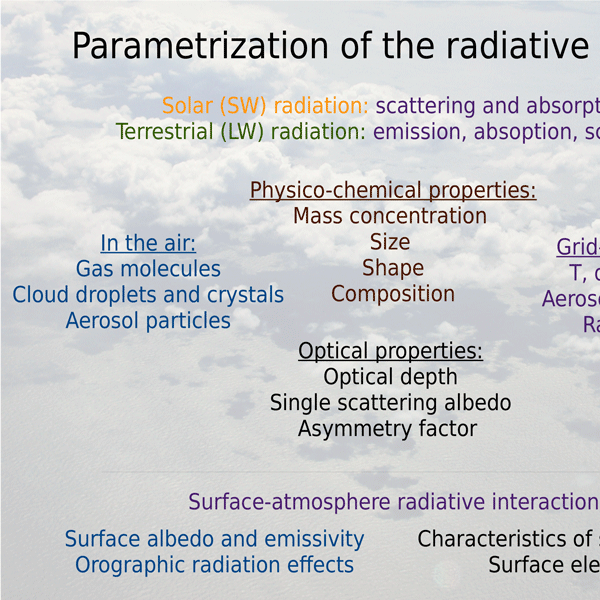 In addition, we recommend usage of the global radiation observations for the standard validation of the NWP models. 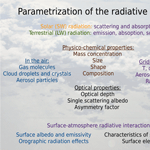 How to cite: Rontu, L. and Lindfors, A. V.: Comparison of radiation parametrizations within the HARMONIE–AROME NWP model, Adv. Sci. Res., 15, 81-90, https://doi.org/10.5194/asr-15-81-2018, 2018.